Jessie over at the gorgeous blog My Mod Style posted this fantastic picture on her blog this week and I just had to post it because I adore it. 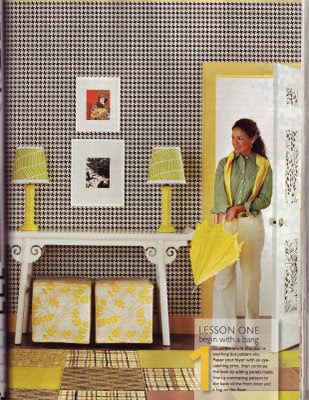 In particular I love the houndstooth wallpaper and the contrast of the white Chinese style altar table, the completely unexpected yellow painted cornicing, the yellow lamp bases and the gorgeous yellow and white patterned box stools. What a great mixture and a bold, fresh and stunning arrangement. A little bit of sunshine for my Northern Hemisphere readers. Happy Weekend everyone. I would love to hear what you are all getting up to this weekend. 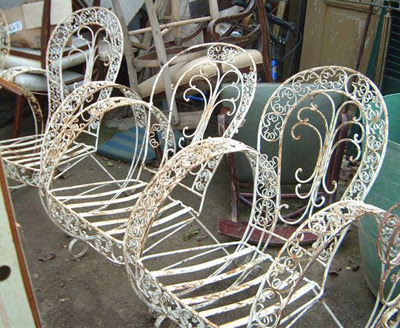 I'm going junk shopping at some of my favourite haunts tomorrow which I am so excited about. Please send in what you are getting up to as I would love to know what exciting things you are all planning to do. I think the Daily Paintings concept is fabulous. I have posted an image above from Domino Magazine's story on Daily Paintings. I think it is a wonderful way for rising talent to show their artwork and collectors to purchase it. I have just finished this guest bedroom in an apartment in the city for one of my favourite clients. It's fresh, clean and I think it has really come up very well! I am very happy with the finished room and I think her grand children will very much enjoy sleeping in it. Thanks Marcia for being such a wonderful client. I hope you enjoy this room too!! This is the gorgeous old stone fireplace at my parent's (new) old beach cottage at Amity Point at Stradbroke Island. I just love it so much and I love how my creative mother has placed bits and pieces on the mantle. Oh and I adore her placement of the Ralph Wilson painting. I will post more images of the cottage over the next couple of weeks - it is soooo cute!! 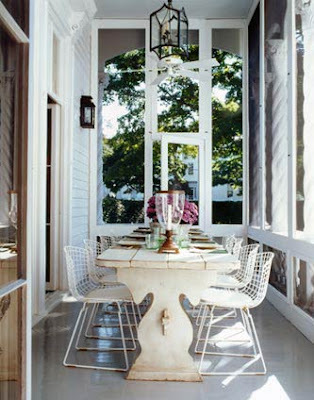 I love this Summery white porch by Jed Johnson above. In Australia we would call an area like this a verandah but I love the American term for it which is "porch". 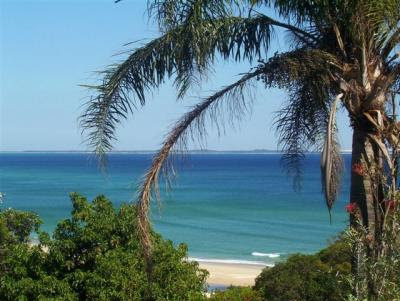 Tomorrow morning my little family and I are heading off to our beach house at Straddie for an extended weekend break. I have been doing some cooking tonight as we are going to have a picnic on the beach tomorrow, just the three of us. I can't wait to spend some time with my boys. I hope you all have a lovely weekend and I will be back on Monday with lots of inspiring tidbits. 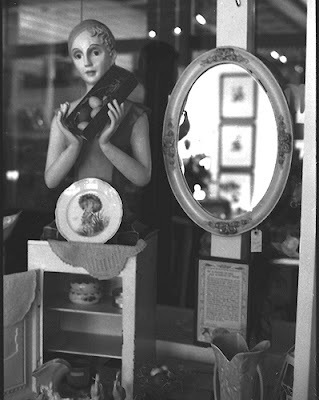 Oh BTW I found the image above on Flikr and I just loved it's vintagey look. 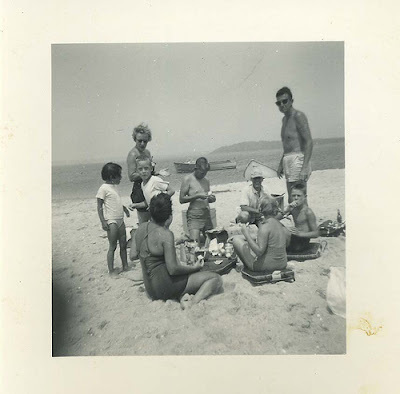 I actually have some old vintage beach photos framed on my walls at Straddie which I adore. Whenever I see roadside junk I just have to pull my car to a complete halt, find a park and immediately go and rummage through all the things. I don't know what it is but it's like it calls out to me and says "please take me home and make me yours". Tonight at our monthly book/design/style club I set our members a challenge to find an interesting piece of "junk" over the next month and bring it to our next meeting. 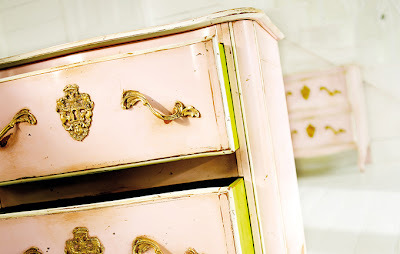 At our next meeting we will discuss what we can do to make these vintage finds into loved pieces. 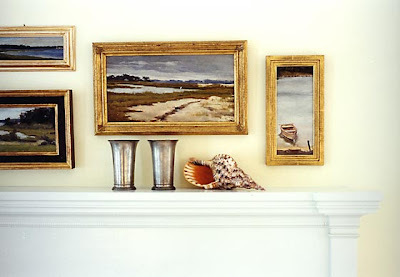 It's these interesting pieces in a home which add personality to a house. These things make it home!! 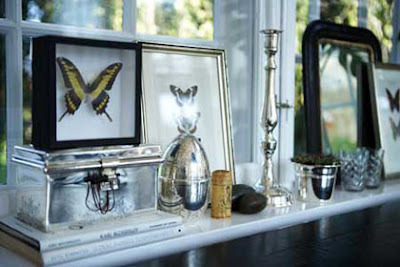 What pieces of junk have you found and made into your very own loved vintage piece? 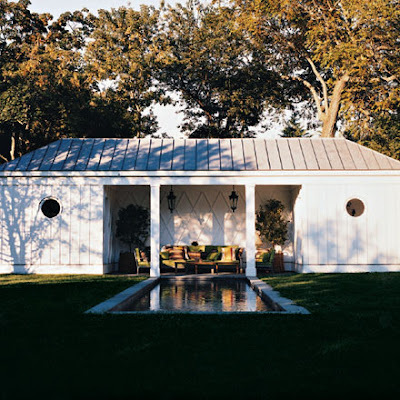 I adore Reed & Delphine Krakoff's Southhampton beach house which was featured in American Elle Decor. 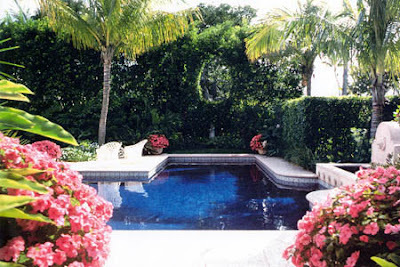 I particularly love the pool and pool house - I forgot to include this pool image in my favourite pool pictures last week! I love the wonderful mix of styles they have used in this house and the mixture of bright contrasting colours - very much something you would expect from the President of Coach and his Interior designer wife. Tomorrow my mum and dad will hand over the keys of our family beach house at Stradbroke Island to it's new owners. It will be a very sad day for my family. 18 Years ago my parents purchased a block of land on Stradbroke Island which, at that time, was a very strange thing to do. All of their friends thought they were mad - why would they want to build a house all the way over there? It is so remote and you have to catch a boat to get there - not at all convenient. However, this was to be my mother's dream home and the place where we, as a family of 5 would go every weekend. My parents both worked very hard running their own business so this would be their special place to be with their family. I have so many fond memories of the times we spent there. Last night my parents hosted a party at the house for all of their friends as a farewell and a celebration of these wonderful times. It was a fantastic night but also very emotional. It's funny all of my mum and dad's friends that were there last night, the ones who thought they were mad buying over there, now all own properties at Straddie too. I'm just so proud of my pioneering parents!! As my husband, my son, my brothers and their partners and I left the house today we left our mum and dad there with tears in their eyes. We had some last family photographs taken inside the house and then it was over. Our 18 year relationship with that house was finished. But, all is not lost because 4 years ago mum and dad purchased another property on the Island which is a very beautiful place and this is now where we all go to be together as grown ups with our families and friends. Thank you Mum & Dad for all the wonderful times we spent together as a family at Casa Billa. I don't think I really appreciated how hard you both worked to enable us to have that special haven but I do realise now and I just hope that my son loves every moment of the time he spends at the house that my husband & I have purchased at Straddie as we too have to work very hard to be able to afford our special piece of paradise. Goodbye Casa Billa. I will always remember the wonderful times we had together. My wish for you is that your new family will love you like we did and please give them as much enjoyment as you gave us. We received some gorgeous new things in the shop this week. In particular the white box side tables which we wallpapered in mismatching wallpapers for our next display and some gorgeous big blue and white ginger jars which I also ordered for our new display. Pools From My "I Love File"
It has been such a hot Summer here in Australia so I thought I would cool things down a bit for my Aussie readers by posting some of my favourite pool images. 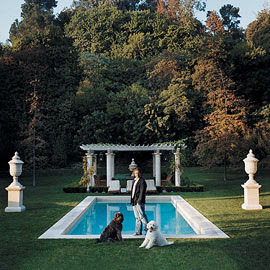 The top image is my all time favourite pool and pool house which was featured in Elle Decor. 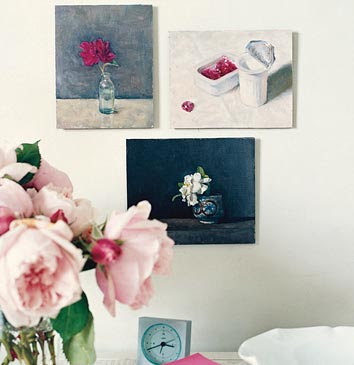 The middle image is a new favourite which was also recently featured in Elle Decor and the last image I just love because of all the potted pink flowers. 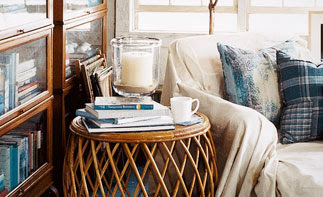 OMG - If you haven't already seen the new release Ralph Lauren Home Collection - Beach - then you need to visit the site now!! As always the experience is a jaw dropping, eyes hooked to the computer, devine, drop dead gorgeous, I wish I could have EVERYTHING adventure!! And the waves rolling into the beach with the beautiful music in the background - well what more can I say other than I'm dreaming!! Look at all all of these gorgeous things from Inside Avenue via Belle Vivre. 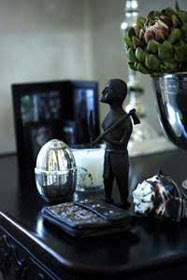 They have lots more wonderful things on their website so take my advice - go and have a look!! 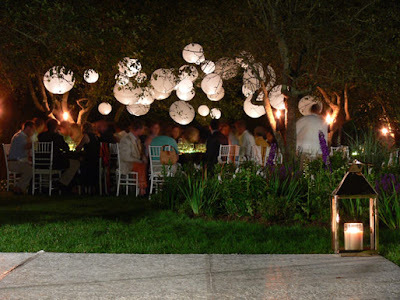 I just love this idea for a night time garden party. I found this image on New York Social Diary a few months ago and I have been lusting over it ever since. I am celebrating my 30th Birthday later this year and I would just love to have a party like this!! I'll keep dreaming shall I??!! 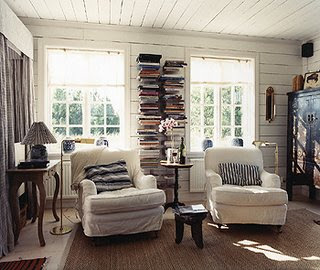 I just couldn't resist posting these images I found on one of my favourite blogs Dreamhouse Cammy. I have filed them away in my "I Love" file for safe keeping. 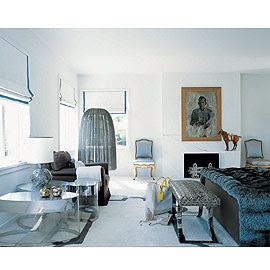 I think I could live in a house like this forever and ever and I would never tire of it - so classical and stylish! When decorating I always love to scour my clients homes to find old treasured things which they have thrown into the back of a cupboard or drawer. I like to pull them out and place them in a collection on a piece of furniture like a coffee table, side table, sideboard or sofa table. And if a client doesn't have some goodies stowed away I often take them shopping to create their very own collection of things. A person's home should be a reflection of them not a reflection of me so even though I design their rooms and homes I do like to add a touch of them whether it's some old shells they collected years ago or old family photographs reframed, old books or even an old chair recovered - a piece of my client's life is always an important element of my design. 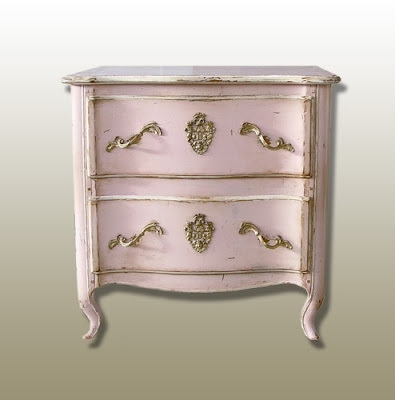 I love this pretty custom painted reproduction furniture from Minnie Peters which I found via Mteriors blog. Minnie Peters is a Dublin based company. 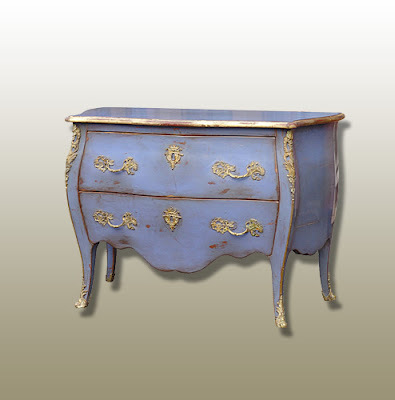 The particular colours chosen and also the handles, I think, make these pieces so fabulous! 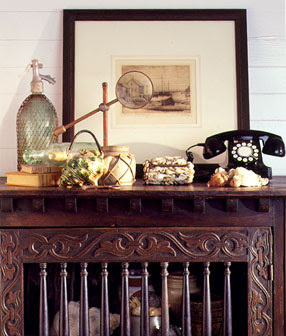 Notice the flash of citrus yellow popping out from the inside of the drawers in the top image. 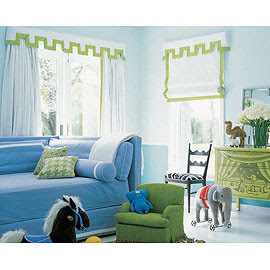 Grange has a range similar to this but their colour combinations are more intense and bold. Finally, the weekend is here!! 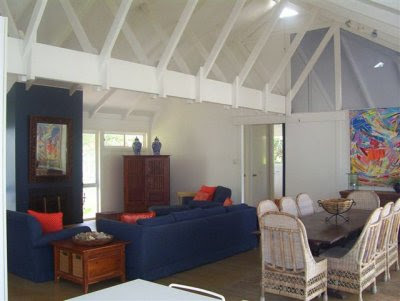 I'm going over to Straddie for the weekend and I was thinking it may be nice to have a beautiful lunch with some friends on Sunday at our beach house. 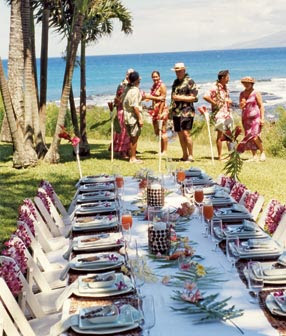 Look at this gorgeous Hawaiian style table setting above - it has inspired me! I hope you all have a wonderful weekend. I'm so looking forward to having some time to relax with my 4 year old and my husband and maybe a long walk along the beach on Sunday morning to get my creative inspiration moving!! Oh and just one more thing, I would like to thank all of you for your continued support and for visiting ABT!! Thank you also for all the wonderful comments you leave. I would love to hear from where you all come from and what inspires you so if you have the time over the weekend please introduce yourself and tell me what inspires you! This is Grace's bedroom which I have just finished. Grace is a young teenage girl who loves pink so this is what I created for her. I am just finishing off a built-in desk unit which I have designed with pink and black patterned wallpaper sections so I will post pictures of it once it has been completed in a couple of weeks. She sure is a very lucky girl to be able to have this as her haven. 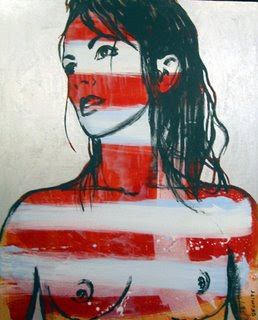 Today my design assistant Avril posted on her blog, Jane d'Avril about Australian artist David Bromley who is without a doubt my most favourite artist in the world. I have 4 of David's paintings myself and I would love more. The reason for all the discussion at Black & Spiro today about David Bromley is because Sally who is my dear friend and also my office manager at Black & Spiro is about to purchase one of David's beautiful paintings. She has been looking at them for over a year now and we think she has found "The one". I think she'll be doing a lot of nice talking to her husband tonight!! Good luck Sal - I really hope you get it. If you want to see more of David's beautiful pieces go and have a look at Avril's site and also some of the gallery sites I have listed above. 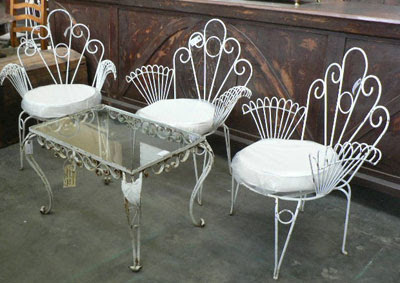 One of my favourite haunts in Brisbane imports these wonderful French vintage iron garden chairs and tables and after reading Stylecourt's post about swirly curly outdoor furniture this week I remembered the gorgeous chairs I purchased for Black & Spiro late last year. 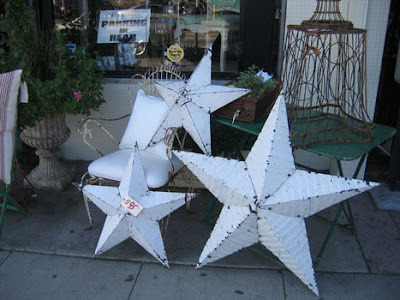 I think we should try to get some more for the shop because I remember that we only had them in the front window for 2 days and then they were gone! Thanks Stylecourt for triggering my memory!! Please Can We Have One Mummy?